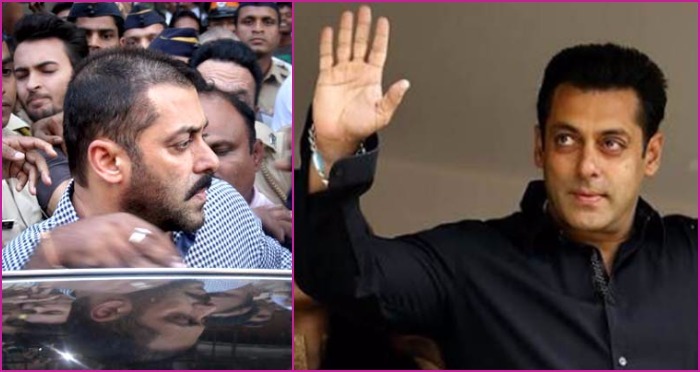 Salman Khan Acquitted Of The Arms Acts Violation In The 1998 Blackbuck Case! Bollywood actor Salman Khan has been acquitted of all charges by Jodhpur court in an over 18-year-old long Arms Act violation case. The actor was accused of using firearms with an expired license in the poaching of the black bucks near Jodhpur in October 1998. The Sultan star on Wednesday visited Jodhpur court with his sister Alvira Khan Agnihotri for the hearing of the case. All the eyes were in the courtroom until the final verdict on the case was not out. The media, fans gathered outside the court only to know if the case has been in the favour of the actor or no. While the Rajasthan High Court has acquitted Salman Khan in two cases of poaching of chinkara, trial in the third case of alleged poaching of two blackbucks is still dangling on the head of the actor. Read: Are Salman Khan and Iulia Vantur Already Married? However, soon after the actor was free from the case, fans and actors from the industry started pouring love and support for Salman Khan on twitter. Read: Top 10 Bollywood Films Of The Year That Have Left Immense Mark On The Audience! The Sultan star also took to twitter and thanked all his fans for the love and support they showed throughout the difficult journey of his life. On the professional front, Salman Khan has to big movies releasing this year-, Kabir Khan’s Tubelight and Ali Abbas Zafar’s Tiger Zinda Hai that also stars Katrina Kaif. Previous : Aamir Khan Finally Speaks Up On His Dangal Co-Star Zaira Wasim Making Public Apology! Next : Bigg Boss 10: Here’s Everything You Want To Know About Monalisa’s Wedding With Vikrant Singh Rajpoot Inside The House!